The blockbuster bout will be one of the biggest fights to take place in Belfast in recent years and a make-or-break fight for both men. Frampton is looking forward to meeting elite opposition on home soil in his first bout of 2018. “It’s a brilliant fight – a four-weight World Champion against a two-weight World Champion,” said Frampton. “Has a bigger ‘away’ fighter ever come to fight in Belfast before? I don’t think there’s been a bigger name than Nonito Donaire and he’s coming to fight a local guy in his hometown. 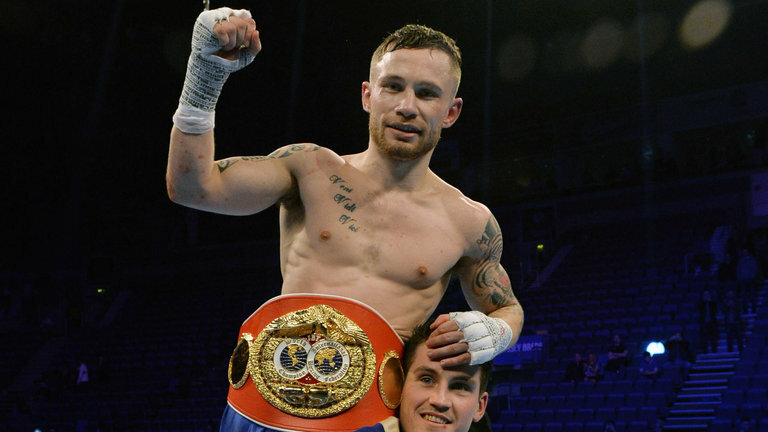 With a much-anticipated summer fight date at Belfast’s Windsor Park in the works for ‘The Jackal’, 30-year-old Frampton believes a win over the 42-fight veteran would be perfect preparation ahead of a World Title tilt. Coming off the back of a 10-round points win over Mexican Horacio Garcia last month in what was Frampton’s first outing since the loss of his WBA World Featherweight crown to Leo Santa Cruz, ‘The Jackal’ is confident that victory over Donaire will tee up a bout against the winner of the scheduled IBF title clash between Lee Selby and Josh Warrington. While Donaire has suffered three defeats since being named 2012 Fighter of the Year by The Ring, ESPN and the Boxing Writers’ Association of America – the same honours Frampton picked up in 2016 – the 35-year-old ‘Filipino Flash’ is eager to prove that he is still an elite force at 126lbs. Promoter Frank Warren said: “Belfast fight fans are going to be in for another treat on April 21st. This is a guaranteed barn burner between two elite Featherweights. Both men have held multiple World Titles and know that a win will lead to another shot at World glory. Richard Schaefer, founder of Ringstar Sports, added: “This is a fight between two of the best Featherweights in the World, with multiple World Titles between them. These are two fighters who are never boring in the ring, two fighters who come forward and love to engage. Details of a press conference will be announced in the coming days. Tickets for Frampton vs. Donaire are available to purchase from the SSE Arena Belfast Box Office, www.ssearenabelfast.com and 028 9073 9074 from 10.00am on Thursday 11th January. Chris Eubank Jr vs George Groves – Who is the stronger puncher?